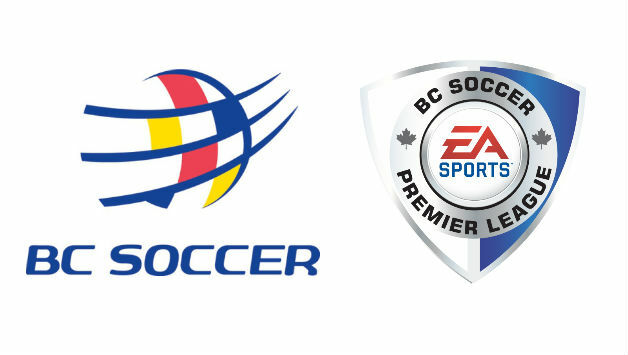 The EA Sports BC Soccer Premier League was established by BC Soccer in conjunction with Canada Soccer, the Vancouver Whitecaps FC, the BCSPL Founding Club Franchise, and the BC Soccer membership. The overall objective of the league is to support the development and identification of players within a standards based environment for Under 13 through Under 18 male and female programming. For more information on the league, please visit the BCSPL website. BC Soccer supports the BCSPL in a number of ways, primarily through the BC Soccer Premier League Club License. See the tabs below for more detailed information on the license. The BC Soccer Premier League Club License is a free service designed to assist and support all the BCSPL Franchise Clubs in maintaining and enhancing technical standards, that promotes a player first mentality, supports the Canada Soccer Association’s Long Term Player Development Model and provides a clear and recognised pathway for player development and identification within British Columbia. The License is an extension of BC Soccer's Club Charter Program, solely for BCSPL Franchise Clubs. Franchise Clubs within the BCSPL must be meeting the Club Charter standards available as well as adhere to the License Criteria, which includes further development of Technical Standards. To view the complete 2019 BC Soccer Premier League Club License please click HERE.The License is broken down further on the follow tabs, which also includes rources to support the clubs in the delivery against the Licesence requirements. The BCSPL Franchise Clubs have to adhere to the BC Soccer Club Charter Program as well as the BCSPL License criteria. BC Soccer will support the Clubs to achieve this as well as quality assure the delivery of each criteria. The charts below outline each criteria across player and coach development paired with the club’s requirement and BC Soccer’s quality assurance process. BC Soccer will quality assure each BCSPL Franchise Club against their delivery of the BCSPL License criteria and will support and monitor the implementation of the BCSPL License. The Quality Assurance process will include an annual Quality Assurance Period from January to June, with a Quality Assurance Report provided to each BCSPL Franchise Club in July. All Clubs will be provided with an ‘Action Plan’ within their July Report. Noting that some of the BCSPL License criteria requirements are time sensitive once these are all completed between August – December, Clubs will be granted their two-year license documented in their December communication. If a club does not complete the BCSPL License requirements during the calendar year the Franchise will complete their two-year license term through to June of the following year. To see the breakdown of the Criteria & Quality Assurance, please click HERE. Note: this information has been extracted from the completed 2019 BCSPL Club License version 3.0 which can be downloaded from the "Overview" tab. The BC Soccer Technical Resources are comprised of a Curriculum, Game Model, Player Profiles and Coach Profile. These resources have been designed in consultation with the Canada Soccer Association, Vancouver Whitecaps FC and the BCSPL Technical Committee to support player and coach development for the U13 – U18 age groups. The curriculum provides a developmental framework to work towards within the training environment. It identifies the Moments of the Game, the Zones and Areas of the Field, as well as Team Tasks and the Principles of Play. These elements should be combined with the session methods and practice types to cover a variety of developmental sessions throughout the season. See the below BCSPL Club License - Technical Resources - Curriculum - Video video for the breakdown of the Curriculum and how it can be implemented in a club's day-to-day training schedules. The Game Model outlines the desired developmental actions for players to action within the game environment pairing the curriculum and player profiles to game situations. Based on a Flexible Playing System, the considered and planned deployment of players in specific roles within a team, where they carry out defined functions in designated areas of the field. With possession, dominance in possession and territory by building play through the zones of the field with efficiency and effectiveness. Without possession, to implement a variety of defending strategies when attempting to regain possession within the zones of the field. See the below videos for more information on the Game Model and how it can be implemented within Game situations. The Player Profiles outline the desired characteristics of players across technical, tactical, physical and mental related to their position and unit within the team, when in and out of possession. The Coach profile assists coaches with maintaining and meeting desired Coaching standards as well as used as an identification tool for coaches to progress into the BC Soccer Provincial Program and beyond. BC Soccer provides a central hub for each club as the platform to share the BC Soccer Technical Resources, game video and player data. To assist the Franchise Clubs in delivering the BC Soccer curriculum, BC Soccer provides each Club with the Sport Session Planner design program. The program allows BCSPL Coaches to design their session plans and store them within a database. To further support player and coach development, Franchise Clubs have access to game footage. This will assist the Franchise Clubs in the implementation of the BCSPL License and used by BC Soccer to assist in quality assuring Franchise Clubs. It will also be used to assist BCSPL Franchise Clubs to promote the BC Soccer Game Model and most importantly for player identification. Staff will be attending a minimum of 96 Franchise Club visits throughout the BCSPL. These visits will be used to quality assure and more importantly provide an opportunity to give feedback and support to the BCSPL Technical Directors and Coaches. Workshops will be provided to support clubs with the delivery of the BC Soccer Curriculum and Game Model as well providing an opportunity to collaborate with the Technical Directors and Head Coaches on how the BCSPL License can better improve to support player and coach development. To support the Franchise Clubs on building the relationship with partner clubs, member clubs and associate members, BC Soccer Development Staff will support the BCSPL Clubs with partnership meetings. To support the Franchise Clubs in delivering the message to potential BCSPL players and their parents, BC Soccer Development Staff can support Player Intake Meetings on the Player Pathway within BC. What clubs currently participate in the BCSPL? Since the league's inception, there has been eight franchises.